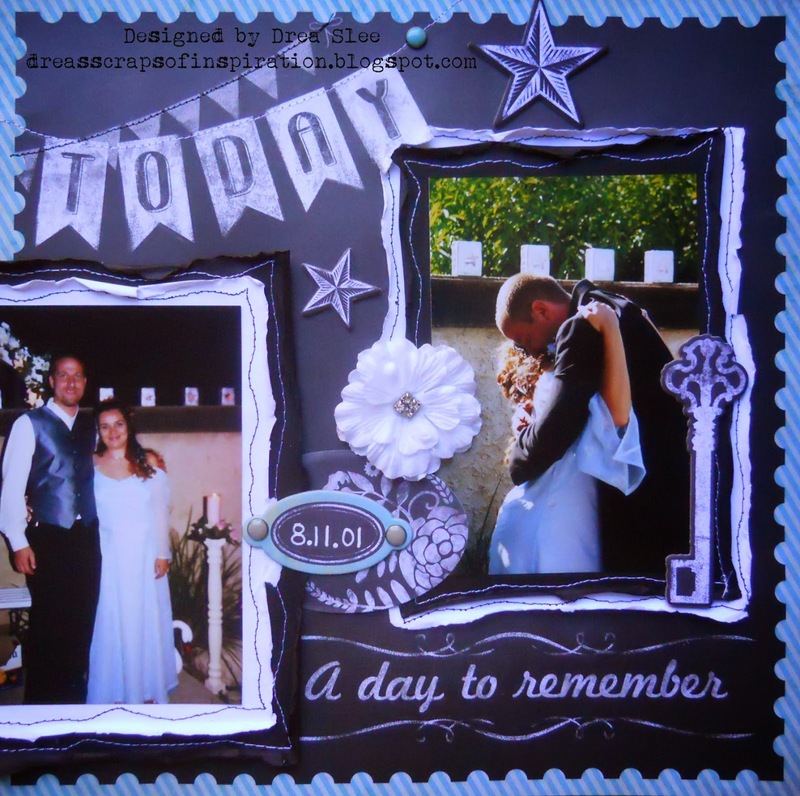 The sentiment on this paper from My Mind's Eye Chalk Studio 2 I Want It All Bundle, from FotoBella, was just perfect to scrap some more of my wedding photos. 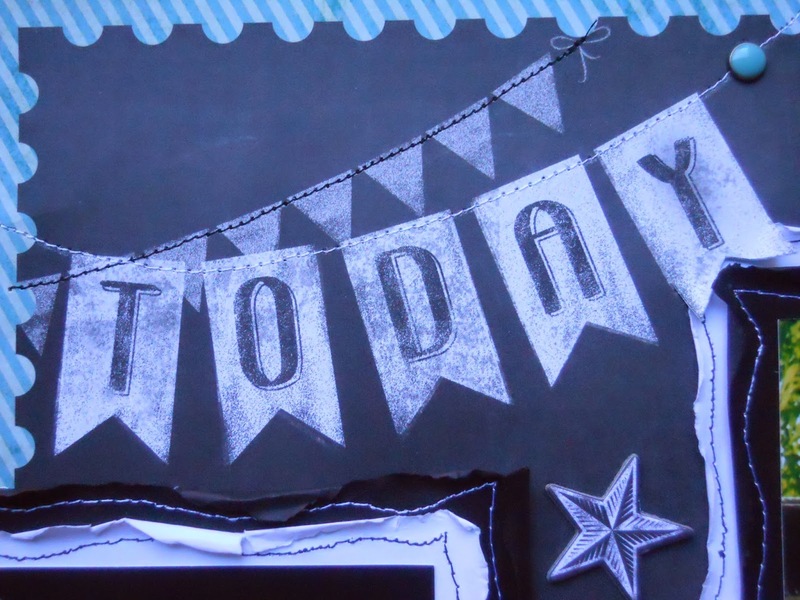 I did lots of machine stitching on here with black and white rayon threads onto black and white cardstock, along with the banners on top of the "Remember" paper. I overlapped part of the floral oval tag onto the photo on the right, chalking the edges with white chalk, before applying the oval chipboard with the date that I wrote in white. 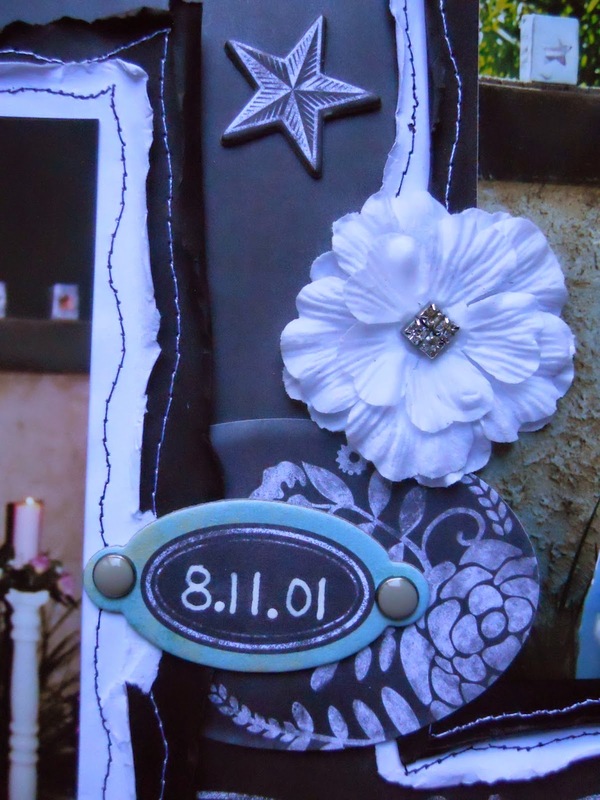 Then I anchored it with some grey brads, and added the white Prima flower from my own stash. I finished it up with the stars and key from the Chipboard Elements.